Fireprism is an elite group of performance artists based in Denver, CO. Each performer is a trained professional in one or more of the following arts: choreographed dance, showgirl, go-go, cirque, avante garde, LED, UV and fire performance (poi, toi, rope poi, hula-hoop, fans, torches, hand candles, fire wings, fire fingers, fire eating and fire breathing). Melinda has performed professionally for over a hundred different venues and clients. She is a nationally known artist featured on the cover of "Spotlight," and has appeared on the cover of "Rocky Mountain News," the cover of "Perfect Digital Photography," as well as appearing in several national and international magazines:, etc. Her TV appearances include ABC's Orange Bowl Intro and 2,4, and 9 News features. Some of Melinda's local achievements are starring in Elitches' "Carnaval De Fuego," and performing for Mike Shanahan's Denver Broncos annual party for team players. 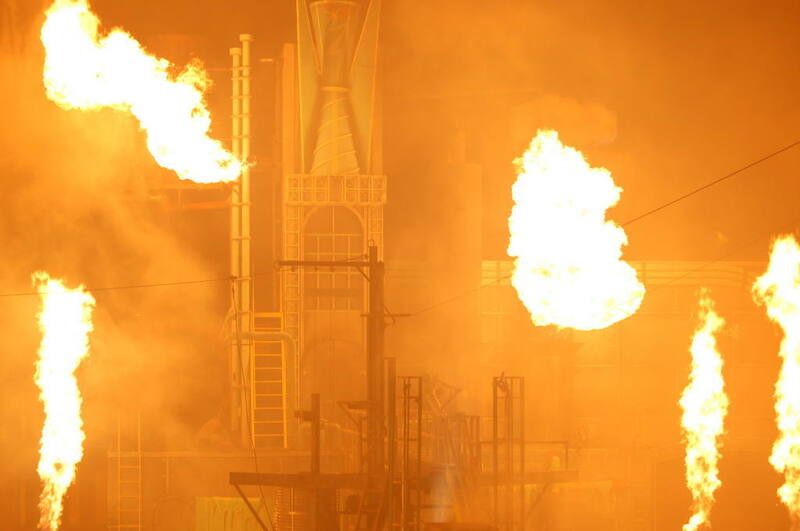 Melinda is known for her dramatic stage effects using colored flames and fire sculptures. Her dance presentation features lights, UV reactive material, or fire using poi, staff, double staff and hula-hoop as well as fire fingers, fire eating, fire breathing and fire wings. Her repertoire also includes voice, dance, character acting, choreography and modeling. Kelli came to Denver after performing with Midnight Sun in Los Angeles. She has performed at several major local venues including Red Rocks Amphitheater, Invesco Field, Coors Field, Denver Performing Arts Center, and Club Vinyl, as well as numerous events in Aspen, Vail, Beaver Creek, Keystone, and Grand Junction for large scale clientele. She has been a featured performer on both Channel 2, 4, 7 and 9 news covering her fire, parade, and game appearances. She was a collegiate cheerleader at the University of Colorado in Boulder, as well as a member of their prestigious dance team “CU Express”. She was a professional dance instructor/choreographer in the areas of street, funk, hip-hop, modern, and jazz, and her students went on to win the National Championship with her routine. She was also selected as a “Firehouse Doll” in 2005 and featured in their calendar for Firehouses Nationwide. She has several years of experience spinning poi (fire, LED, flags, zuni), hula, fire fans, toi, fire fingers, tumbling, voice, choreography, and dance.